The seas are amazing, filled with fascinating sea creatures and plants of all shapes and sizes. I have called this printable pack, ‘I Saw it in the Sea’ and it concentrates on fourteen on these awesome animals with loads of activities for kids aged 2 – 9. Flashcards – Once printed out on white cardstock and laminated, these can be used in many ways, as flashcards, spelling cards, memory game cards and matching cards. Beginning Letter Sound Cards – Again these cards are great when printed on white cardstock and laminated. Use a peg, pom pom, lolly or white marker to cover the correct answer. I Spy In the Ocean – This is a great activity that will have your child searching for animals in the ocean and then practicing their handwriting. If your child can’t spell yet, have them the flashcards to help them copy the name of the animals. 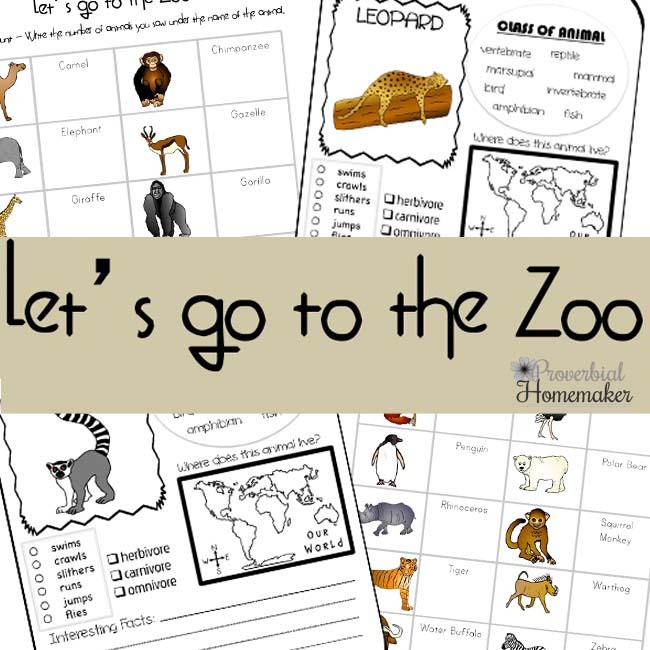 Unscramble the Words – Again your child can you the flashcards to help them unscramble the name of the animals. Shade and Trace – This is a great activity to practice the correct formation of letters and improve handwriting skills. As a reward, they can color the picture when completed. Finish the Drawing and Shade – A great art activity where you child can finish drawing the rest of the picture and then decorate or color when complete. 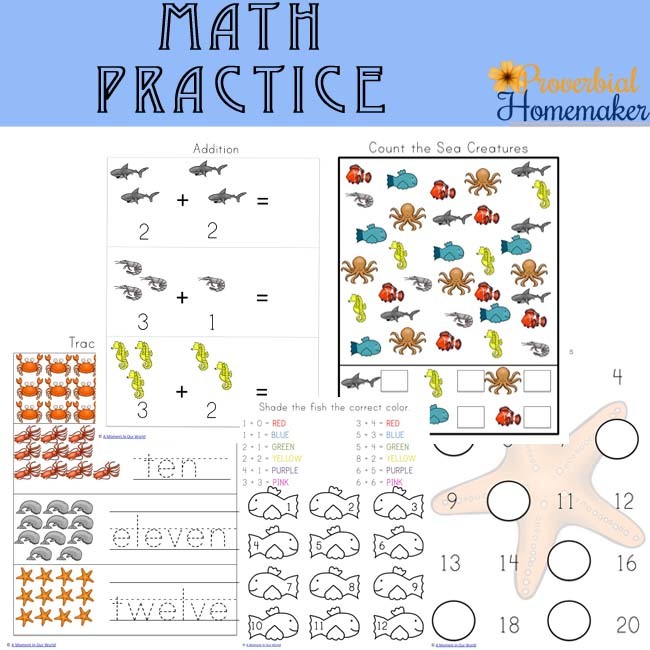 Count the Sea Creatures – This activity requires children to count the number of sea creatures and write the number in the answer spot provided. Trace the Letters – A great activity for learning to count as well as learning to write the numbers in words. Color Matching Cards – Fun cards to help your child learn their colors. Land / Sea Animals – Cut out the animals and paste them in the correct column. Are they land animals or are they sea animals? Missing Numbers – Learn to count to 40 by filling in the missing numbers. Missing Letters of the Alphabet – Learn the letters of the alphabet by filling in the missing letters. Addition – A great activity to help your child learn to add. Subtraction – Another great math activity, helping your child learn to subtract. Trace the Shapes – Trace the shapes, then trace the name of the shapes. Reading Comprehension – This is a great activity for your child to learn how to read. If they cannot read yet, point to the words as you read it to them. Once you have read the passage, circle the correct answer to the questions on the bottom on the page. Bible Verse Copywork – 8 verses relating to the seas from the Bible in both KJV and ESV for your child to copy and then learn to memorise. 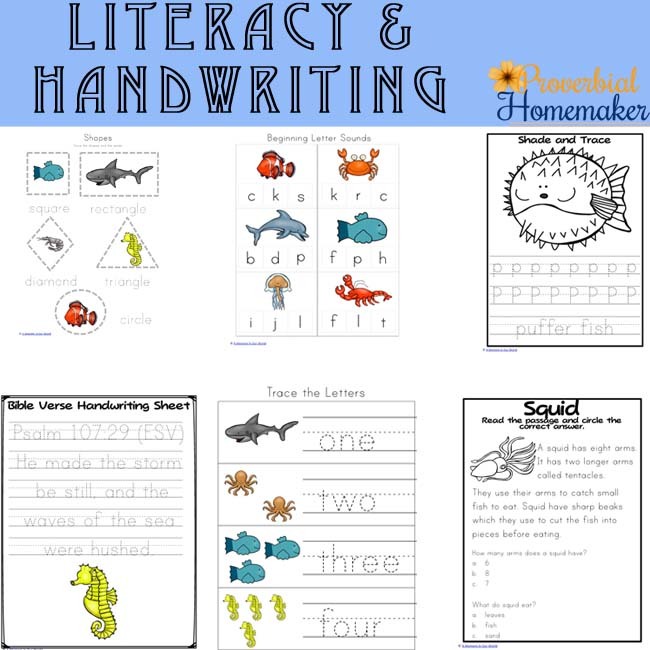 I hope you enjoy learning about some amazing animals of the sea with this Printable Pack! 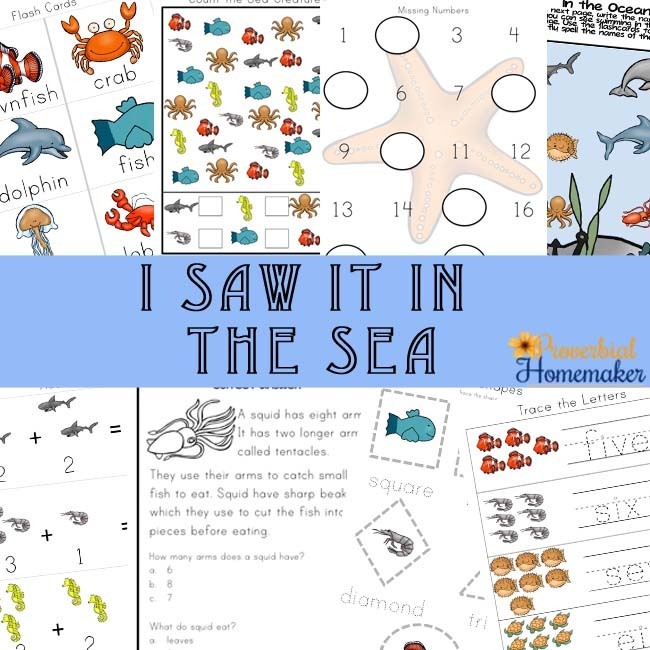 Get the I Saw it in the Sea Printables! Awesome! Keep an eye on your inbox for an email with the download link. Hope you love it! I would like to find out how to obtain this pack. Thanks! Hi there! I emailed you directly about 4 days ago – perhaps it ended up in your spam folder? You can download the printable by scrolling down toward the bottom of the page. Just before the “You Might Also Like…” section is a download form. You enter your email address and download link is sent to you. All the freebies are set up this way. It can take anywhere from a few minutes to a couple of hours to arrive, and you’ll want to check your spam or promotions folder. I would email it to you directly but since I already tried emailing you and you didn’t get it, would you send me an email if this doesn’t work for you? tauna(at)proverbialhomemaker(dot)com. Thanks!